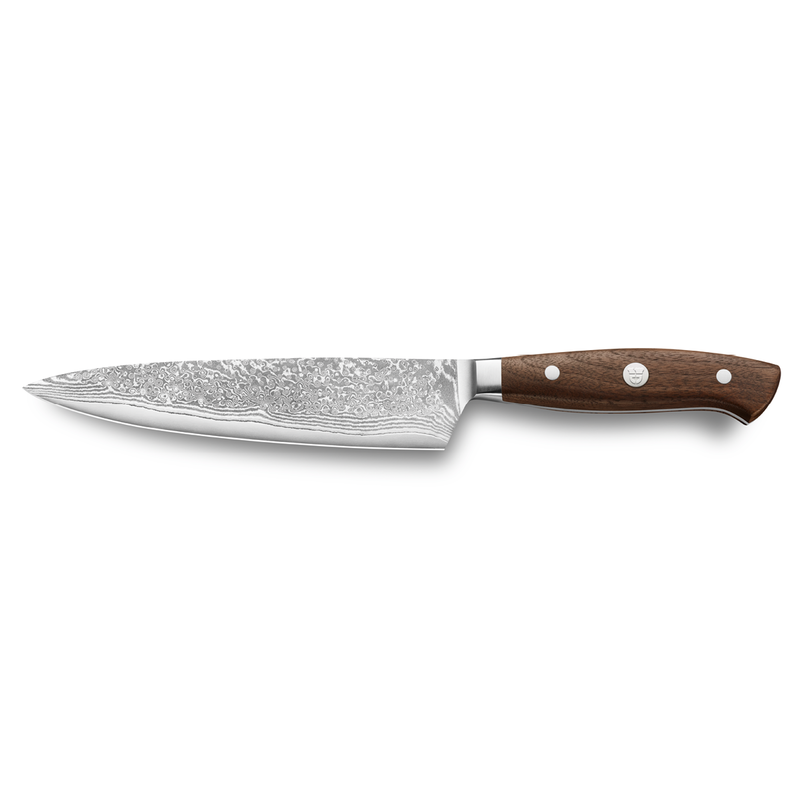 The CHEFSTALK KNIFE has a 65-layer Damascus steel blade. The unique blade pattern, which is called Wild Damascus, ensures flexibility. The sharp edge of the chef’s knife is ice tempered (VG 10, approx. 59 – 61 HRC Rockwell). An optimal cutting capacity is achieved thanks to the combination of the two special steels and meticulous production. The extremely sharp cutting edge glides effortlessly through any food. 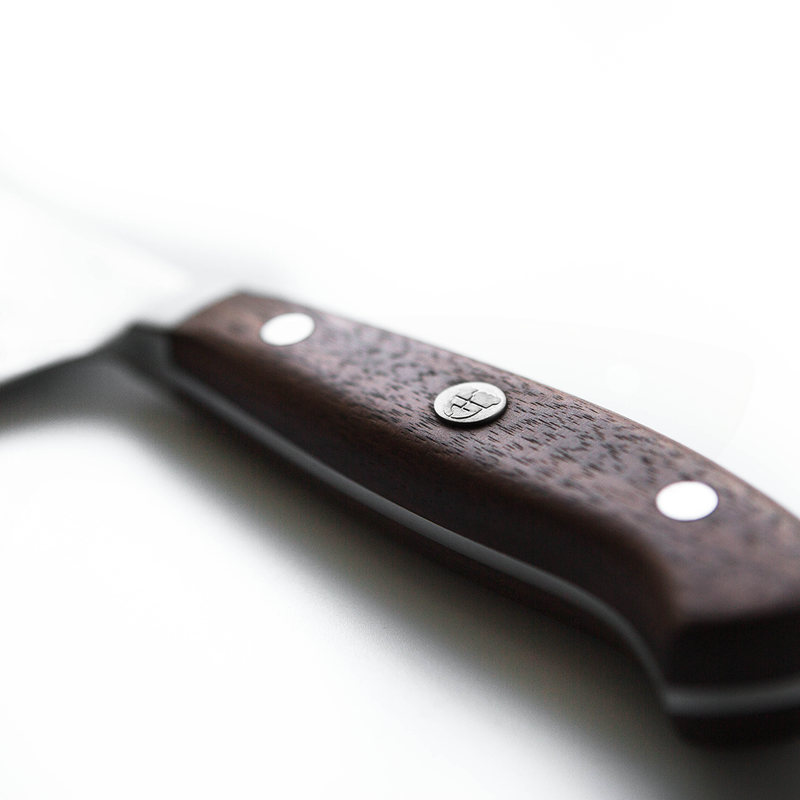 Our CHEFSTALK KNIFE is inspired by top chefs and designed for professional work in the kitchen. 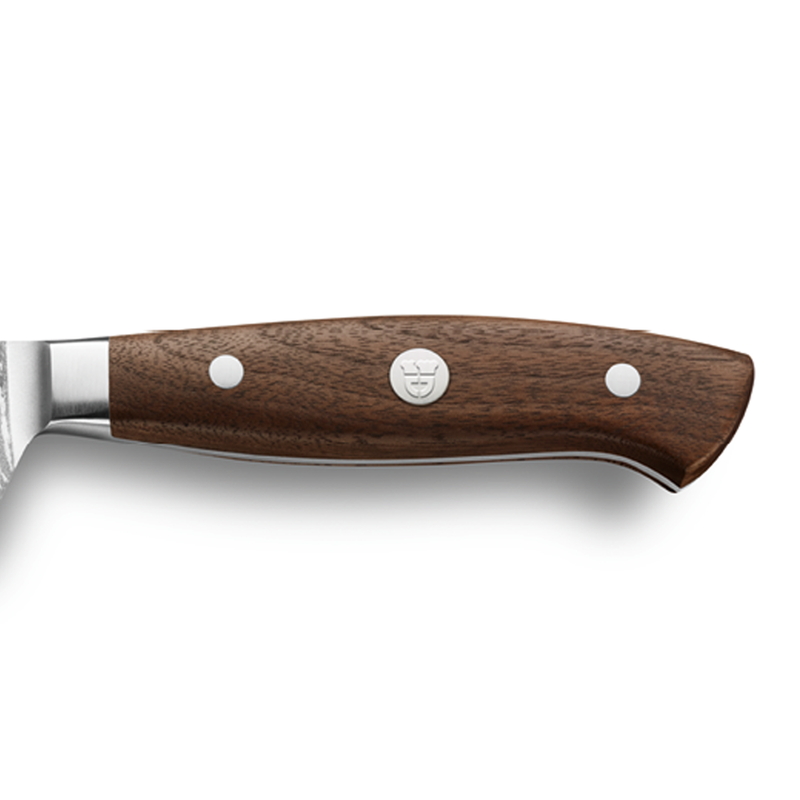 High-performance steel that is particularly distinguished by its hardness, cutting efficiency and corrosion resistance, traditional tried and tested craftsmanship during production in Solingen and excellent design that doesn’t just impress in terms of appearance but also its pleasant handling – combined in one knife. outstanding quality and is becoming a chef’s knife for professionals.